This year's Winter Meeting of the American Nuclear Society (in Washington, D.C.) is shaping up to be a very important event. As usual for such ANS meetings -- large ones like this are held twice a year -- there is a large list of experts and industry people who will be on hand to make presentations and take part in expert panels. I will of course be there, and you'll see my reporting on the ANS' Social Media outlets (ANS Nuclear Cafe blog, Twitter and Facebook) as always. I consider these meetings absolutely vital for networking with other professionals, and particularly for discussing communications about nuclear energy and technology. If you're an ANS member, I hope you agree. LaGrange Park, IL, – Nuclear professionals from the U.S. and around the world will meet to discuss climate change, nuclear nonproliferation and the growth of nuclear technology at the 2015 American Nuclear Society (ANS) Winter Meeting November 8th – 12th in Washington, D.C.
ANS President Gene Grecheck will welcome hundreds of members in a plenary session on Nuclear: The Foundation of Sensible Policy for Energy, Economy and the Environment as the role of nuclear energy in combating climate change is at the forefront of national and global discussions. Many sessions throughout the week will expand on the role of nuclear energy as part of the solution to reducing carbon emissions and climate change. International security and energy consultant Susan Eisenhower will present the first Dwight D. Eisenhower Award to George Schultz, former Secretary of State for Ronald Reagan and Dr. Sidney Drell, Senior Fellow at Stanford’s Hoover Institute. Drell and Schulz are being honored for their historical achievements in advancing nuclear nonproliferation, arms control and the peaceful use of nuclear energy. The meeting provides an opportunity for attendees to explore the current trends and important advances in nuclear technology and hear from notable nuclear experts from around the world. Technical sessions include cutting-edge nuclear topics such as advances in fast reactor designs, MOX fuel, SMR’s, and the prospects for construction of new nuclear facilities in the U.S. and around the world. A copy of the full program can be viewed at www.ans.org. ANS Winter Meeting registration is available at http://answinter.org/attend-2/register/. Press may register online at https://ssl.ans.org/meetings/winter/registration/. 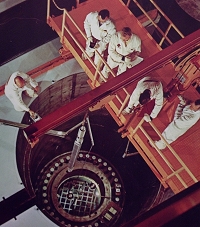 Established in 1954, ANS is a professional organization of engineers and scientists devoted to the peaceful applications of nuclear science and technology. Its more than 10,000 members come from diverse technical backgrounds covering the full range of engineering disciplines as well as the physical and biological sciences within the nuclear field. They are advancing the application of nuclear technologies to improve the lives of the world community through national and international enterprise within government. Today we got some news that we were expecting. I don't mean to say about Pilgrim Nuclear Station being closed by 2019 -- I mean the news that some nuclear plant or another in the US was going to announce closure due to market conditions sooner or later. This sort of feeling is becoming pervasive; it's not any sort of pall of doom, but the plain fact of the matter is that Pilgrim was only one of a number of plants today being threatened by forces that didn't exist when these plants were built. What forces did exist when these plants were built? 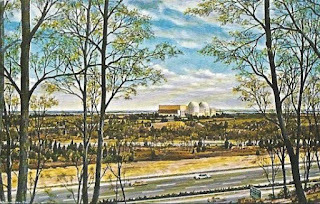 Well, Pilgrim was ordered as a part of that very first breakout flood of orders for commercial nuclear plants in 1965, a year that saw seven units ordered. 1964 had seen none, and 1963 saw four commercial units ordered (one of which, Malibu, was cancelled.) So 1965 really was the spark; 1966 saw 20 ordered, and 1967 saw 31. The New England region was, back at that time, heavily in the grip of oil fuel. This was used (in various grades or names) for electric power generation and for home heating, and was used perhaps more extensively here than anywhere else. Coal had very little play here, as compared with the rest of the nation. So, when oil prices started and kept going up, New England poured on the nuclear plant construction; it continued as clean air became more and more important in addition. In about 1980, Boston Edison was using a mixture of 70% oil and 30% nuclear energy to generate electricity. It said at that time that between 1970 and 1980 the cost of the oil it was burning had increased 1500% --- rising from about $2.22 per barrel to over $35 per barrel. This caused Boston Edison (and as you can see a number of other utilities) to begin a rush of ordering of nuclear plants at first slowly in the end of the 60's, and then heavily in the first few years of the 1970's as the oil price trend became very clear. Pilgrim by itself made up for about 7 million barrels of oil per year, saving the company's customers about $115 million per year (1981 numbers.) It's quite easy to see why the large nuclear build was put on up in New England. Of course, it didn't all pan out. 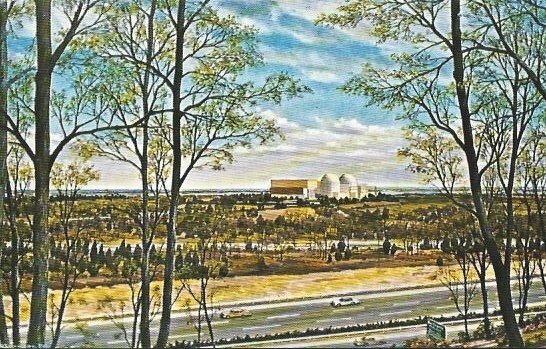 If one looks at Seabrook station today, the plant for all the world looks like a two unit nuclear plant. But only one unit is complete and working. Of the units listed earlier, Pilgrim 2 and 3, Seabrook 2, Montague 1 and 2 and New England 1 and 2 were never completed. In fact, the last two projects never started real construction. The reasons for this are many, but I'm getting to a point here. "The New England Region relies more heavily on imported oil for its energy needs than any other part of the country. Its uncertainty in both cost and availability mandates that this dependence be greatly reduced. Thus, currently, nuclear power is the only option for the foreseeable future and represents the most economical, safe and readily available opportunity to reduce our reliance on expensive foreign oil." Now, I want you to read this again, but this time substitute "natural gas' for "imported oil" or "foreign oil." Because this is what New England is looking at -- it's looking at giving up its most reliable, lowest carbon base load power and becoming dependent upon a single fuel. In the past that was oil; now it will be natural gas. The implications are obvious -- if (when, actually) natural gas prices go back up there will be NO escape. Really what's happening here is that Entergy is losing about $40 million a year on Pilgrim, and since it's facing buying fuel next year for a 2017 outage and is also facing increased regulatory oversight and possible equipment backfit / modification implications, it's decided to go ahead and announce a final termination for plant operation. This termination (not later than 2019) IS FLEXIBLE and may be moved up to the 2017 outage, or even sooner, the company says. As I started out by saying, this was expected. Several plants are known to be "on the block." Kewaunee and Vermont Yankee have been the first to shut down for similar circumstances, and much as I hate to say it, it's almost certain this trend is not yet over. 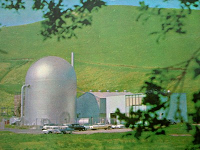 You'll find some more information and some official links, as well as a really informative NEI link, by clicking here to get to ANS Nuclear Cafe. On Friday, October 9, Westinghouse announced that it had launched a program to work with the US Department of Energy in the development of a new, lead-cooled fast reactor (commonly, "LFR") which would combine the advantages of lead cooling (high temperatures, primarily, as well as lower pressures) with advanced accident tolerant fuel to push the Gen-IV envelope to what it perceives as Gen-V -- a term that seems to imply the "state of the art" in perhaps 30 or 50 years down the road. Westinghouse's press release: Click Here. Also, the US DOE announcement of the opportunity can be found here. The action taken up to this point is that Westinghouse has, in acting on the requirements of the DOE opportunity, made an application to DOE for consideration as recipient of funding. These applications were due by October 5. Two awardees are expected to be named. Westinghouse held an exclusive blogger teleconference on this announcement and on the new LFR program with Cindy Pezze, Westinghouse Vice President, Global Technology Development and Chief Technology Officer today; more than one nuclear blogger had been invited, but yours truly was the only one who called in. As a result, the content below is an exclusive to this blog. 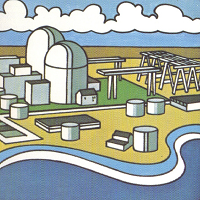 Pezze began by offering the observation that while Westinghouse was deeply involved in the launch of commercial nuclear power (with the PWR concept, first applied for commercial use at Shippingport Atomic Power Station, about which this author has written repeatedly) and thus has deep roots in the field, the company today is an extremely dynamic and much different looking company than it had been in the past. She pointed out the company's pride in the involvement with no fewer than three simultaneous new construction projects (the AP1000 - one site in China, two in the United States) and described these as "the most advanced PWR nuclear plants anywhere." Also mentioned were Westinghouse's venerable nuclear fuel program, and further Westinghouse's continued (if reduced) presence in the market for nuclear plant components and services. 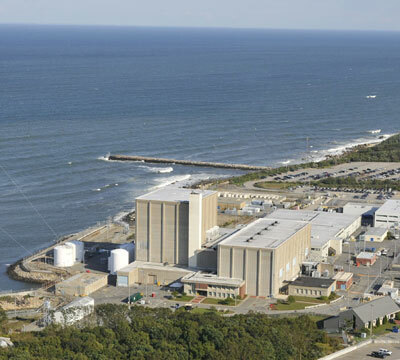 "Unfortunately, a field we have to address is decommissioning, decontamination and remediation" of closing nuclear plants, Pezze added - a field in which Westinghouse has an increasing presence as, clearly, the requirement for such work will continue to increase. It is against this established background that Pezze contrasted the very new ("visionary," as she put it) approach by Westinghouse CEO Danny Roderick wherein Roderick challenged the Westinghouse engineers (which according to Pezze have been concentrated centrally to enable a "focus for innovation and for the enhancement of existing lines and technologies") this past February to take a clean sheet of paper and study, both from a nuclear design / feasibility standpoint as well as an economic standpoint, the various types of truly advanced reactors to "see what the future generation nuclear plant should look like." Roderick emphasized that the selected technology had to incorporate both "unparalleled safety" and "unprecedented economics." The ability of such plants to load follow was not addressed specifically on the teleconference but is noted in Westinghouse materials distributed to this writer; this is important should such a design be required to operate in concert with renewables in a situation in which the renewables have dispatch priority on the grid, and in which the LFR plant would then be expected to ramp. Pezze observed that roughly 10 or 20 years ago, LFR projects were dropped or sidelined because materials problems appeared too daunting. However, the decades of work in metallurgy have now caught up, and the LFR appears to be a short to mid term commercial reality now. Inside Westinghouse this program has been loosely tagged as "Gen-V," which bears some explanation. 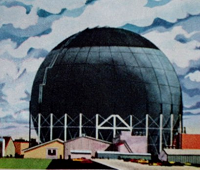 This simply refers to the fact that while Gen-IV reactors are classed as advanced designs having improved safety (above Gen-III / Gen-III+ LWR designs,) improved resistance to proliferation, reduced generated waste and improved economics, this concept by Westinghouse is hoped to provide (as noted) safety and economy on a not-yet-seen scale. Pezze observed that it's the company's belief that much of the Gen-IV technology has not been commercialized at all yet (effectively) because it's simply not economical to do so. The Westinghouse LFR project is intended to meet all the Gen-IV stipulations for overall design mentioned above, but also will be exceedingly safe and highly economical to build and operate. She described the "Gen V" label as a target out in time at which this project is directed. 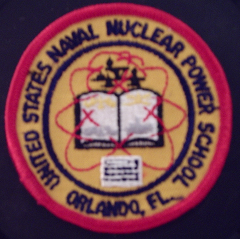 Pezze's description of the selection process included the thought line that if one selects a high pressure design of plant (NSSS or Nuclear Steam Supply System) then the protections against radioactive release from the plant get more complicated and expensive -- and of course the actual materials of the NSSS get thicker, heavier and more expensive. Adding to these costs by using a reactive coolant (such as sodium) drives cost up even further. Now, given that much research has been done on the use of lead in nuclear power as a coolant, and that Westinghouse feels that with dedicated work the materials problems can be solved in the short to mid term, then all these cost increases as described above are "off the table." In other words, some advanced reactor design choices add a sort of self-inflicted cost and complexity increase over the LFR for no practical advantage. So what are the next steps? Pezze says that within several months the DOE announcement of who will be awarded the funds to develop an advanced design is expected, although no firm date is known. Westinghouse is working with 12 different parties, said to be national labs and universities but cannot name them all specifically just yet (although that is coming eventually in a future press release; we'll have to wait and see.) The DOE FOA is a five year program and we can expect further announcements and developments through that time frame. There you have it. Westinghouse has thrown its hat back into the advanced reactor field (it was once quite seriously in that field, as it was the lead reactor vendor for the Clinch River Breeder Reactor project.) The design chosen has all the hallmarks, at least as presented to me today by Westinghouse, of something that may not be the furthest up the scale of "theoretically ideal" designs, but which can and will get built. The notion that Westinghouse will focus on extreme safety AND extremely economical cost for the plant tell me that the company is paying attention to what the entire world is saying about nuclear energy -- and that Westinghouse also knows we need nuclear energy for many, many years to come. One more thing - a big "thank you" to Westinghouse for reaching out to the nuclear blogging community.